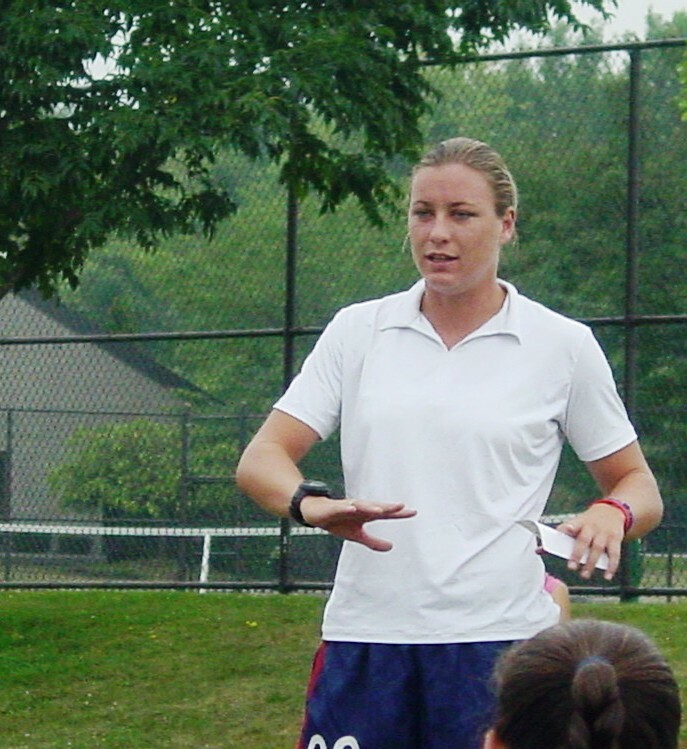 Abby Wambach, Pittsford, NY Youth Clinic: Grass does grow in northern climates. Women soccer players throughout the world have filed an application with the human rights tribunal in Ontario, Canada. Their request: provide the same pitch quality that men have had in every World Cup (and will have in 2018 and 2022) for the women’s most prestigious soccer event, the Women’s World Cup. I have spent the day researching this issue and there is agreement on one item: turf creates a different game. The ball rolls faster, bounces differently. The game is faster and requires a different degree of skill. This is not a problem for professional women soccer players. They can adjust their game to handle the speed and unpredictability of the ball. For me the issue is equality and injury prevention. Some research (see list below) indicates that there is no statistical difference between the number of major injuries on turf vs grass injuries. One set of research even indicates grass is more dangerous. But all of the articles recognize that more research is needed. Players might have adjusted their game to prevent injuries on turf and contusions and abrasions are more prevalent on turf requiring immediate anti-bacterial treatment to prevent infection. To me, it is clear that an improperly maintained grass surface can be as dangerous as turf. But we are not talking about improperly maintained natural grass. We should be talking about the very best maintained natural grass for the highest level of soccer competition in the world. The only way the research can be applied to the World Cup is if the best maintained natural grass surface is compared to turf, and from what I can tell, that research has not been conducted. Soccer players world-wide agree: the world cup should be played on natural grass. It is the best surface for a world-class game. In 2007, when David Beckham played for the LA Galaxy, he discussed the difficulty of playing on turf with ESPN. Players state that turf is less forgiving than natural grass leading to knee injuries, turf toe, and according to one NBC article, the surface is 10-15 degrees hotter than the air temperature. More important, the American Academy of Neurology reported that concussions are more likely on turf, and women soccer players have a higher risk of concussion than other female athletes. The number of collegiate women soccer concussions comes close to the number of concussions that occur during high school football and collegiate men’s hockey games. Why doesn’t FIFA care about providing women with the same level of playing surface that they provide the men? I have read answers such as the U20 men have played their World Cup games on turf, and the CONCACAF uses some turf fields. Folks, we aren’t talking about U20 men or the regional CONCACAF. We are talking about the best-of-the-best in soccer. The men play on natural grass. So should the women. And where are the men in all of this? There are a few who are speaking out, like the amazing Tim Howard of the USA Men’s World Cup Team. But if you type FIFA Ballon d’Or 2014 winner Cristiano Ronaldo’s name and the word ‘turf’ into your search engine you get some colorful cleat images. Search for Lionel Messi and ‘turf’ and you’ll get a chance to buy his favorite turf cleats (yes, they make special turf cleats, designed to be more durable for use on hard surfaces). Where are Landon Donovan, Beckham and the other men? Let’s make some noise for the women, guys! soccer’s men to speak out with their colleagues. From what I have read, FIFA can afford this change and Canada can make it happen. To me it sounds like both FIFA and Canada are being stubborn and maybe a bit miserly. Perhaps they believe they are making a critical point, but if so, I’m not getting it. These women work hard to play their sport. They battle discrimination and intimidation. All they want is the same opportunity their male colleagues get: to play their world-class game on natural grass. It is my hope that FIFA and Canada, the creators of the slogan “To a Greater Goal”, will take this small step forward to advance world-wide gender equality. If they do, this World Cup will be remembered for all of the right reasons. Women’s World Cup Turf Field Facebook page. This entry was posted in NWSL (Soccer) and tagged emma watson, Gender equality, he for she, Lean In, Tim Howard, world cup soccer. Bookmark the permalink. This is a tough request, I hope this message will have impact! Thank you! But you are correct, it’s a tough request.